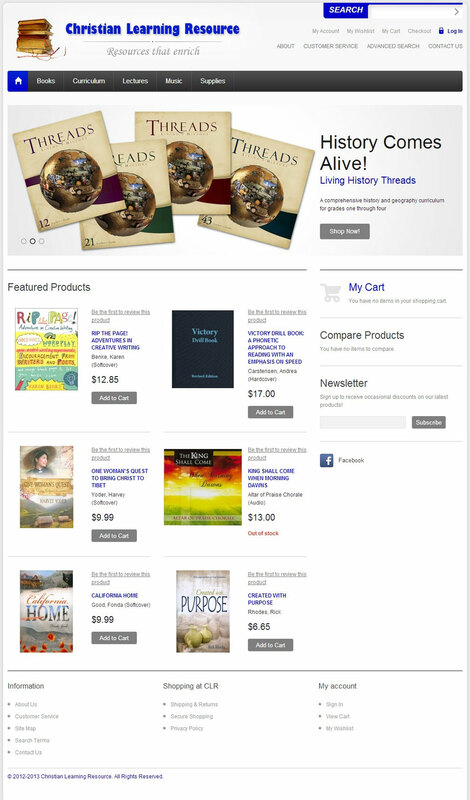 Christian Learning Resource asked me to work with them to update their web store. They were generating the previous store with Zilron Store Creator, an older solution that did not include secure checkout, PCI compliance, or SEO-friendly meta content or urls. They also wanted the web store to integrate with their POS software and update inventory automatically. We considered a number of e-commerce platforms before selecting Magento Community Edition. For this project, I customized a template to fit their needs. With over 1,800 items in the store at launch, this was a big project!